The United Nations Economic and Social Commission for Asia and the Pacific (ESCAP) has urged Asia-Pacific governments to focus on domestic resource mobilisation. It has made a series of recommendations for governments to not only increase their own revenues, but importantly to also better tap private sector resources for sustainable development. This is in particular for climate-friendly infrastructure and social financing. This was highlighted by UN Under-Secretary-General and ESCAP Executive Secretary Dr Shamshad Akhtar at the launch of the Economic and Social Survey of Asia and the Pacific 2015. The survey was launched at more than 35 locations around the world yesterday, including Suva. The survey was conducted by the United Nations Economic and Social Commission for Asia and the Pacific (ESCAP). Dr Akhtar further noted traditional sources of finance such as tax revenues and official development assistance are important. But, she said in order to bridge the wide financial gap efforts to deepen the region’s capital markets and engage the private sector must be intensified. The findings also highlighted the urgent need for better quality and more inclusive growth to achieve sustainable development and shared prosperity needs to be promoted amongst the Pacific Nations. In order to address this concern, ESCAP believes the need for inclusive growth is required to achieve sustainable development in Asia-Pacific. Dr Akhtar called on regional policymakers to integrate and mainstream inclusive growth. The report also highlighted the potential of Asia-Pacific developing economies is being held back by infrastructure shortages and the excessive commodity dependence of some countries. 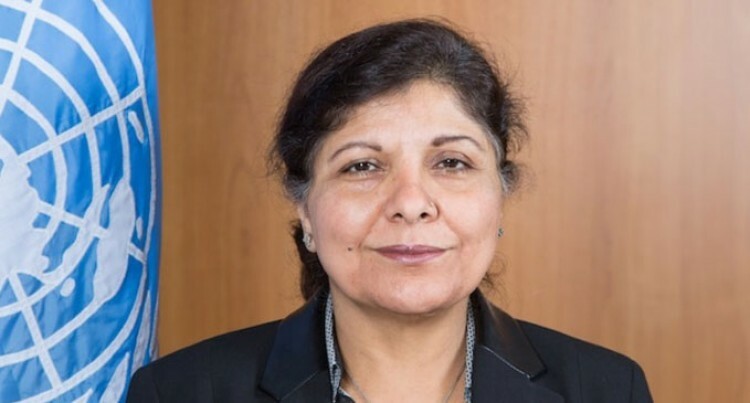 “To enhance well-being, countries need to go beyond just focusing on ‘inequality of income’ and instead promote ‘equality of opportunities’,” Dr Akhtar said.